Zines, or fanzines, are self-published magazines created with a variety of purposes and for a variety of audiences. Zines became popular in scif-fi (1930s) and later in punk (1970s) as a way for fans to share their ideas and passions around those communities. Often created cheaply and in an often-purposefully unrefined style, zines have become associated with the diy mindset of not waiting for someone else to create something for you, but going ahead and doing it yourself even if you aren't an expert. Zines today cover any topic imaginable and come in just as many formats. With the rise of the internet in the 1990s, many zines transitioned into blogs and websites but there are still many paper zines created with the collage and cut and paste techniques of old. There are a variety of formats for zines- including audio zines (which transitioned into podcasts with the advent of the iPod) and creative materials, such as cloth. The great thing about zines is that they can be created by anyone in any way they see fit. From handwritten poems on notebook paper to interactive eBooks to audio zines. Whatever your inclination or interest, the DML has a lot of resources to help you get your own zine going. First floor of the library to the left near the canoe. Great program for creating high-quality graphics- allows you to control the page layout (available on DML computers or as a $20/mo subscription). This simple Google app is a simple & free way to set up your zine and create a PDF version for the web (free w/ unlimited storage using your HSU account). Google Slides is an easy way to get your work online in a format that mimics page turning. Issuu is a simple and free way to share your zine online with page-flipping features and the ability to add links to your PDF (free and paid versions). Just like the Github coding platform, GitBooks allows you to develop online books easily and collaboratively with built-in publishing to PDF, ePub and Mobi formats. You can create custom zines with a variety of materials that allow you to communicate in ways that plain paper doesn't. 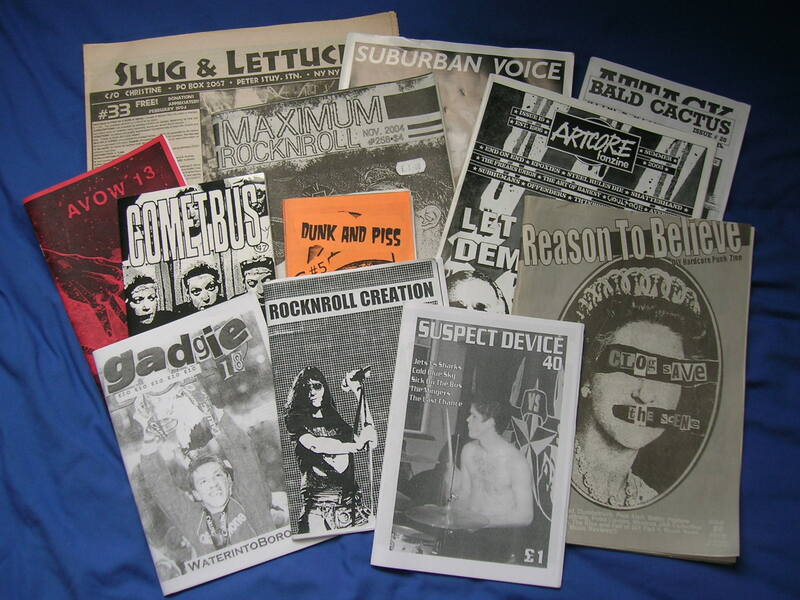 Punk zine- online and in print. Found is a collection of found writings. Their website is interactive and adds a new layer to the format. Downloadable copy of the 1933 sci-fi classic about a villainous telepath. This interview with author Robert Eggplant offers insight into what running a zine is like. This local bookstore carries a variety of zines both local and national. The Long Haul infoshop in Berkeley has an extensive collection of over 15,000 zines to peruse.